The political left is fighting hard to prevent the building of pipelines. Currently, the most noisy protest has been to prevent the construction of the Dakota Access Pipeline in North Dakota. This pipeline is being built to transport oil from the Bakken shale oil fields to an Illinois refinery. The Climate Disobedience Action Fund temporarily shut down five other pipelines in support of the group protesting the Dakota Access pipeline. The name of this group, i.e., Climate Disobedience, actually defines the real purpose for all the attempts to shut down oil and natural gas pipelines. These groups are attempting to impose their views on climate change on the rest of Americans. They are opposing natural gas pipelines, because natural gas is actually methane, a greenhouse gas. They are, for example, opposing the Vermont Gas Systems pipeline in Addison County, Vermont. Typically, other reasons are cited as to why pipelines shouldn’t be built. In North Dakota, it’s the possibility there may be Indian artifacts in the area, and that the pipeline, which is going under the Missouri River, might cause water contamination. The pipeline does not cross any land owned by the Standing Rock Sioux. The project’s developer and the Army Corps made dozens of overtures to the Standing Rock Sioux over more than two years. Other tribes and parties did participate in the process. More than 50 tribes were consulted, and their concerns resulted in 140 adjustments to the pipeline’s route. This isn’t about water protection. Years before the pipeline was announced, the tribe was working with the Bureau of Reclamation and the Army Corps to relocate its drinking water intake. The new site sits roughly 70 miles downstream of where the pipeline is slated to cross the Missouri River. Notably, the new intake, according to the Bureau of Reclamation, will be 1.6 miles downstream of an elevated railroad bridge that carries tanker cars carrying crude oil. In Vermont, the protesters say the gas would come from Canada where fracking was used to extract the natural gas. But, at the core of the protests is the idea that oil and natural gas affect the climate. These protesters ignore some important facts. Transporting oil by pipeline is the safest means of transport, far safer than transporting oil by rail or truck. Natural gas is used for heating millions of homes in America, and without pipelines Americans might not be able to heat their homes during the winter except by burning wood. Oil is the other alternative for heating, and is widely used in New England. Homeowners were hit with high prices for natural gas and electricity during the winter of 2013 due to insufficient supplies of natural gas because of pipeline inadequacy. Natural gas is used for power generation, which, with the closing of coal-fired power plants, is becoming more important for providing people with low-cost electricity. 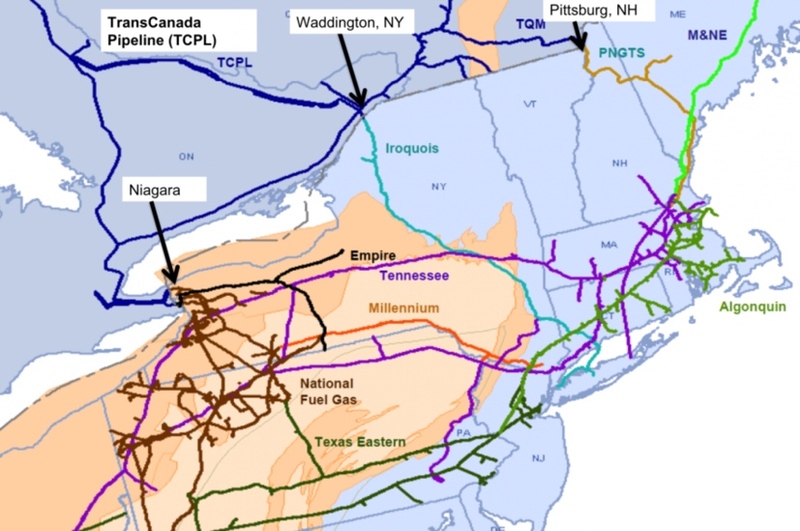 Blocking pipelines from bringing natural gas to New England power plants is endangering those living in New England with the potential for blackouts. The law requires that homes have first priority on natural gas, so power plants might not be allowed to burn natural gas in the winter for a protracted period of time when temperatures are freezing. The idea that CO2 and methane are the primary cause of global warming and climate change is being discredited by scientists in many parts of the world. The book, Nothing to Fear, explains why the sun may be the more likely cause. Blocking the construction of pipelines is endangering all Americans, because pipelines are the safest method for transporting oil, natural gas and other petroleum products, such as gasoline, and because both oil and natural gas are vital to the safety and economic health of all Americans. There are times when I wish the lunatic fringe got to experience the consequences of their delusional thinking. Unfortunately, that means I’d have to share in those unintended consequences and I am not the least bit interested in doing that. I think it might be a bit of an exaggeration to say blocking the construction of pipelines is endangering all Americans. Perhaps some, but probably not even most.